Perfect for summer's hottest adventures, the KÜHL ASTA™ LS SHIRT features a lightweight, double weave with UPF 40. 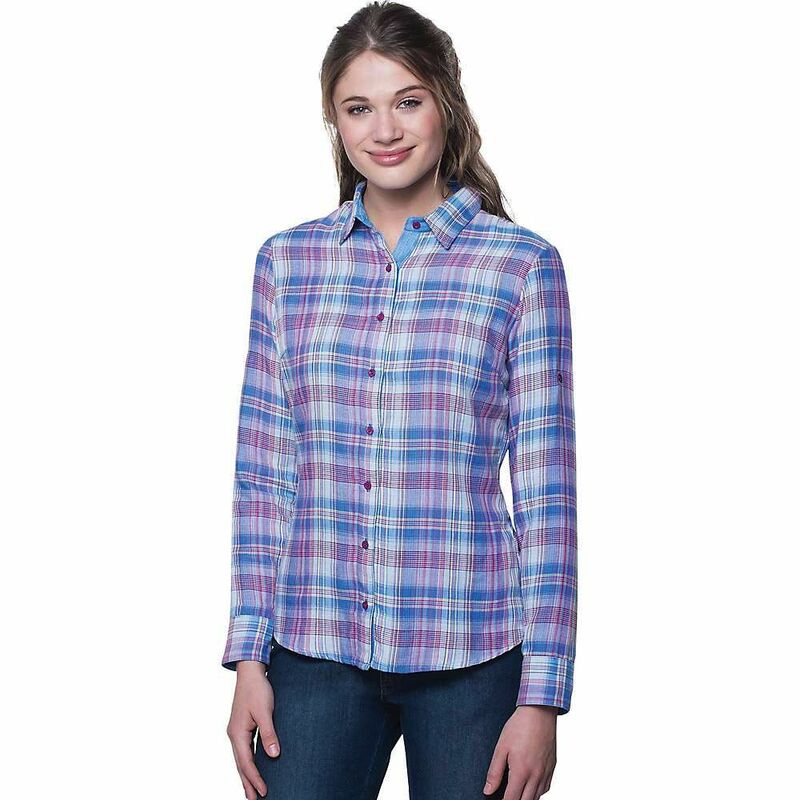 The soft, breathable fabric boasts colorful summer plaids on the inside and outside. Signature touches like ribbon trim, embroidery stitching and figure-flattering darts make the ASTA LS SHIRT the chic choice for comfort and performance.